You’ve heard us say it before, healthy living starts in the kitchen. Many people find that cooking can be somewhat bland when first starting out, however, that need not be the case! In The Naturopathic Kitchen, we discover how to make cooking fun and healthy. This week our focus is on cloves! Cloves are one of the oldest and most popular spices in the world. Native to the Maluku islands in Indonesia, cloves are the flower buds of a variety of evergreen tree. In the kitchen, it is probably best known as a strong flavor in holiday dishes. Clove lends a pungent intense flavor that is both sweet and bitter. In line with its powerful flavor, clove comes with powerful health benefits that have a long history of use in traditional and world medicine. Where do cloves come from? Where can I find them? Clove has been popular in Asia for more than 2,000 years. It was commonly chewed by ancient Chinese courtesans before meeting the emperor in order to freshen their breath. Over time, it has made its way throughout the world and into most cultures’ cuisines. Today, Indonesia is the still the primary producer of cloves, although Madagascar cloves are considered to be superior to cloves grown in other parts of the world. Cloves are easily found in any grocery store’s dry herb section. You can find it either ground or whole. Clove essential oil can be found online or in specialty herb stores. 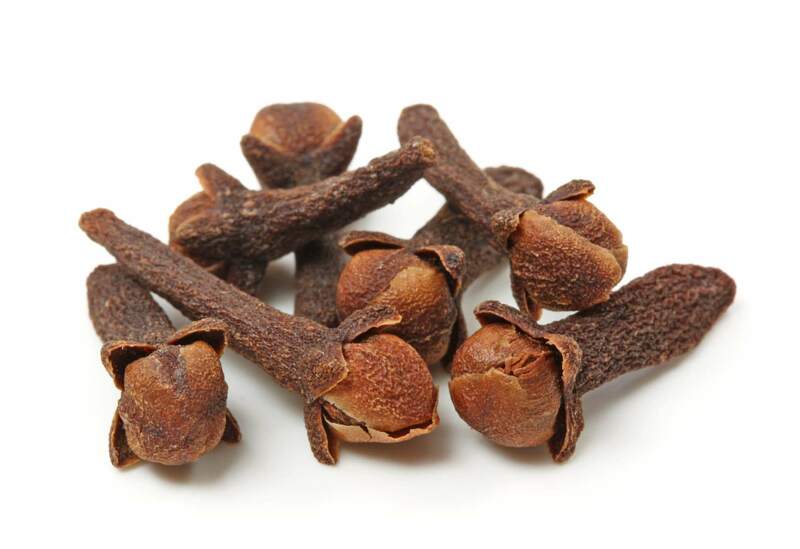 How do cloves help my health? What medical conditions/symptoms is clove used for? Can clove be used as an essential oil? Most of the research done on clove has been conducted with essential oil for more potent effects. As always, essential oils should be used under the guidance of an experienced naturopathic physician. When should clove be avoided? It would be hard to consume large amounts of whole or ground clove due to its intense flavor, but since the essential oil is so potent it can be easy to consume too much. Ingesting clove should be avoided when taking blood thinning medications or during pregnancy. Don’t take clove longer than two weeks consecutively, and when taking daily doses, be sure to take a probiotic supplement to restore beneficial bacteria. Let’s try out some fun clove recipes! Place the water and honey in a saucepan and gently heat until honey dissolves. Add the crushed cloves and black pepper, and continue to heat until sauce is fragrant. Place the sliced strawberries in a serving bowl and drizzle with the sauce. Stir well to evenly coat the strawberries. Serve immediately. Thank you to Wander Cooks for this recipe! Pour the apple cider and maple syrup into a large stainless steel saucepan. Place the cinnamon sticks, cloves, allspice berries, orange peel and lemon peel in the center of a washed square of cheesecloth; fold up the sides of the cheesecloth to enclose the bundle, then tie it up with a length of kitchen string. Drop the spice bundle into the cider mixture. Place the saucepan over moderate heat for 5 -10 minutes, or until the cider is very hot but not boiling. Remove the cider from the heat. Discard the spice bundle. Ladle the cider into big cups or mugs, adding a fresh cinnamon stick to each serving if desired. Thank you to All Recipes for this recipe!